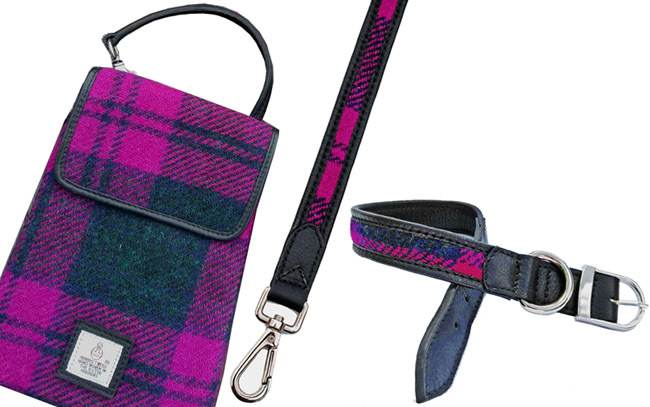 A matching set of pink check Harris Tweed accessories for you and your doggy. All trimmed with black calf leather. For You: A handy dog walkers bag, worn hands free across the body or clip it to your belt/loops. 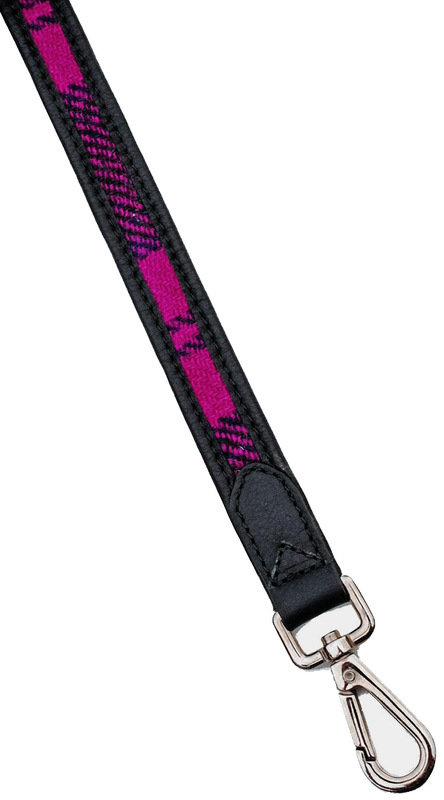 For Doggy: Medium size collar and matching lead. Both have tweed on one side and leather on the reverse. Shiney nickel hi quality dog clip for attaching to collar. Save when you buy these accessories in a set. Total £125 when purchasing individual items. Only £98 as a set. All Tatti Tailoring accessories come with a 1 year guarantee for workmanship. 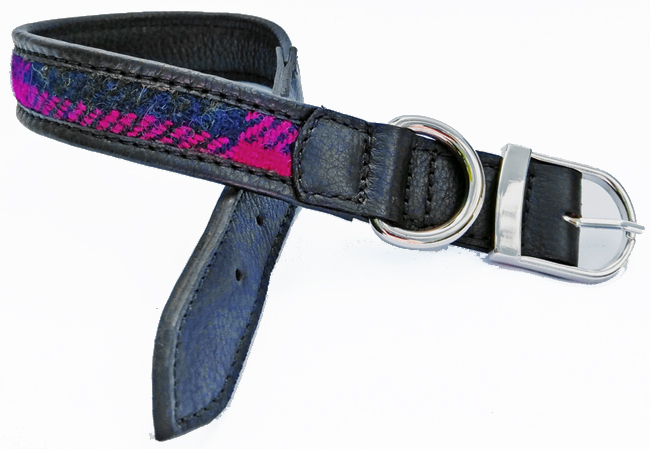 These are new designs - and have been tested on our Spaniel puppy for more than 6 months. When the item gets wet (our spaniel has been swimming in the collar several times) let it dry out naturally, away from direct heat. Brush mud etc off when item is dry. Dry clean only - if necessary.